Join us everyday for lunch, dinner or both! Our signature cheese dip topped with fresh crab meat. Flaky crab meat and grilled shrimp tossed with Mexican seasoning. Seasoned taco meat on fresh garden greens. Flatbread crust topped with chipotle sauce, grilled peppers and onions, with your choice of chicken or steak. Cajun breaded white fish served with vegetables and rice. Tender pieces of lobster in chipotle sauce and topped with queso. Tender lobster pieces in chipotle sauce served with black beans and fiesta slaw. Slow roasted pork ribs in a siracha bourbon glaze served with a fried potato medley. Shrimp sautéed in a spicy siracha sauce served with Mexican rice. Marinated strips of tender beef, chicken and shrimp, served with sautéed onions, bell peppers, tomatoes, refried beans, Mexican rice, guacamole salad and flour tortillas. 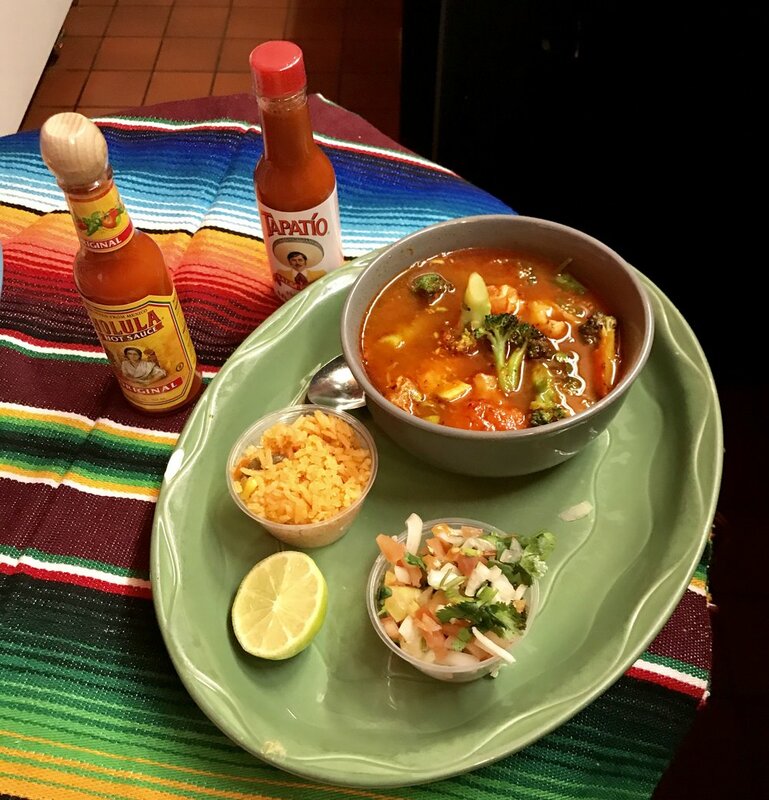 Sizzling shrimp served with sautéed onions, bell peppers, tomatoes, refried beans, Mexican rice, guacamole salad and flour tortillas. Tender steak strips served with sautéed onions, bell peppers, tomatoes, refried beans, Mexican rice, guacamole salad and flour tortillas. Grilling chicken breast strips served with sautéed onions, bell peppers, tomatoes, refried beans, Mexican rice, guacamole salad and flour tortillas. 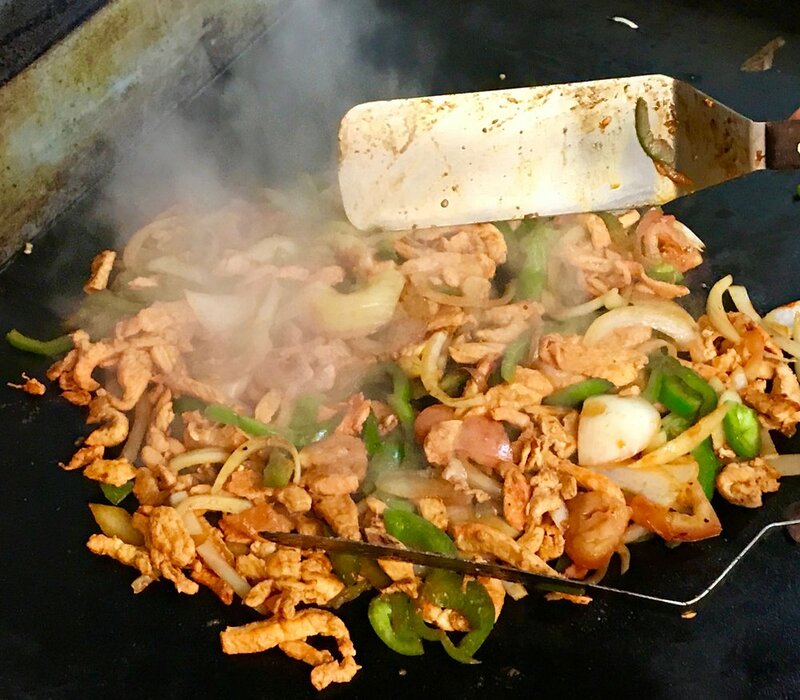 Your choice of steak or chicken served with sautéed onions, bell peppers, tomatoes, refried beans, Mexican rice, guacamole salad and flour tortillas. Chorizo sausage, shrimp, chicken, carne asada, carnitas, pico de gallo, beans, rice and tortillas. One cheese enchilada, rice, refried beans, chalupa and chille relleno. Two enchiladas, topped with melted cheese, served with rice and beans. Grilled or tortilla encrusted tilapia served with black beans and California blend vegetables. Broiled white fish served with salad, rice, beans and mixed vegetables. Jumbo shrimp sautéed in garlic and butter sauce, served with rice and beans. Grilled white fish with our special sauce, served with black beans. Served with white rice and a California vegetable blend. Served with a California vegetable blend and sweet coconut dipping sauce. Four different enchiladas! One of cheese, chicken, bean and beef topped with cheese, lettuce, tomatoes and sour cream. Flour tortilla stuff with beef, beans, cheese and onions, topped with lettuce, guacamole and sour cream. Three flour tortillas with sliced steak, pico de gallo and a special sauce. Grilled chicken with rice, beans and guacamole salad. Four chicken tenders served with rice, beans and pico de gallo. 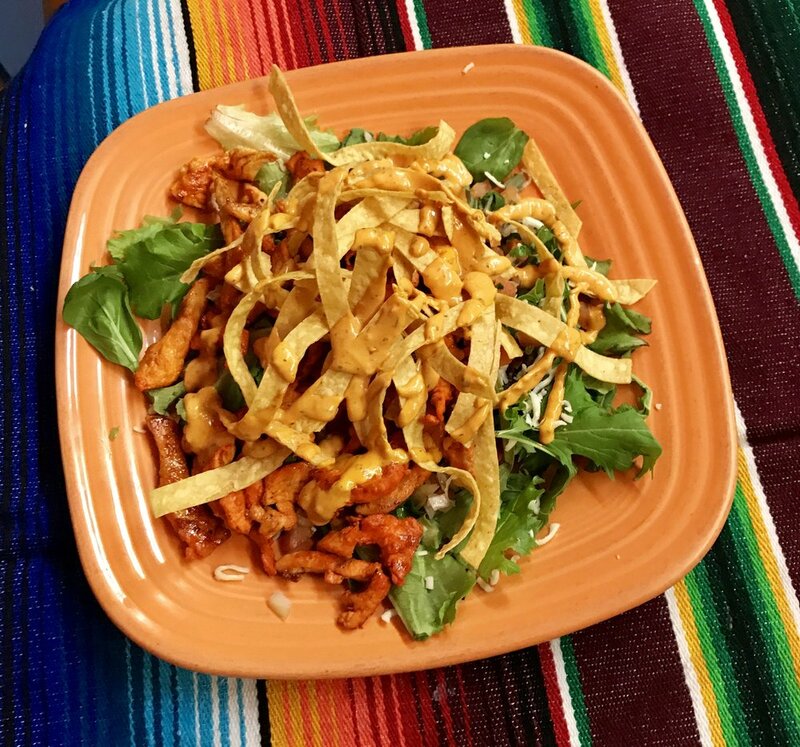 Beef or chicken topped with lettuce, tomatoes, guacamole and served with rice and beans. 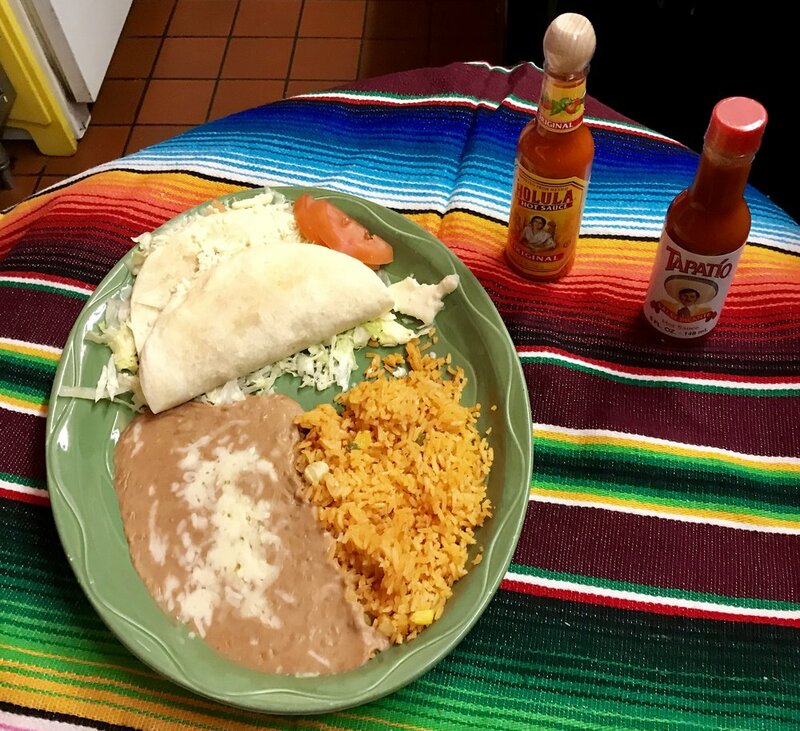 Two grilled flour tortillas stuffed with beef or chicken fajita meat and cheese, served with lettuce, sour cream, rice and pico de gallo. Grilled chicken smothered in melted queso cheese. Seasoned shredded beef served with white rice, black beans and flour tortillas. Join us for birthdays, anniversaries, meetings or any special occasion! We love groups! We accept advance reservations for groups of 10 or more. Please book online 72 hours in advance. What time will your group arrive?